Story Experiences successfully executed the Annual Dealers Meet for the Key Dealers of Havells India Ltd. in Prague, the Czech Republic on June 2 and 3, 2017 at The Hilton Hotel. 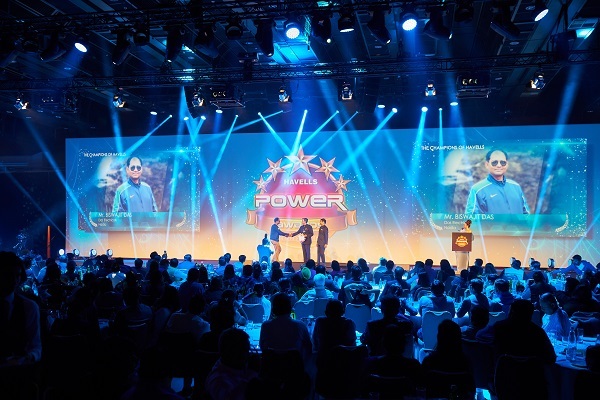 The conference hosted 600+ dealers from across India, who traveled all the way to the Capital of Czech Republic to be a part of this mega event. The two-day extravaganza was packed with discussions, knowledge sharing sessions, networking, music & entertainment at its best. The event witnessed the attendance of most lovable and renowned personalities from the Entertainment Industry such as Anu Malik (Music Composer), Sunil Grover (Comedian – Gutthi), Sugandha Mishra (Comedian). The whole Senior Management and CXO’s of Havells were also a part of this Mega Conference. Day 1 of the partners meet started off with the conference which encompassed the best of technology to make the event more experiential and memorable for all. 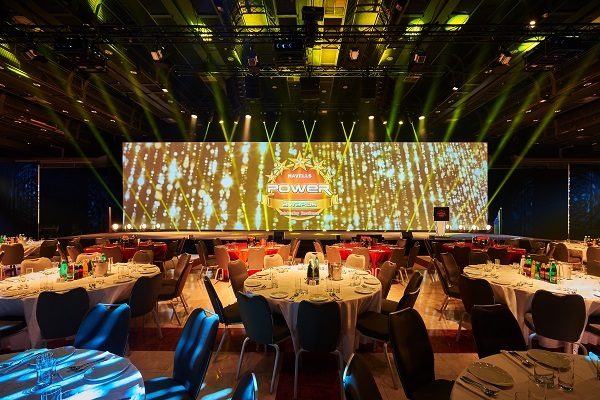 The highlight of the event, however, was the dynamic content projected on a massive watchout-enabled screen of size 80x15ft. Adding to the grandeur was the innovative lighting setup backed by a brilliant set of programs. Use of 3D mapping was another benchmark and attraction at this event. 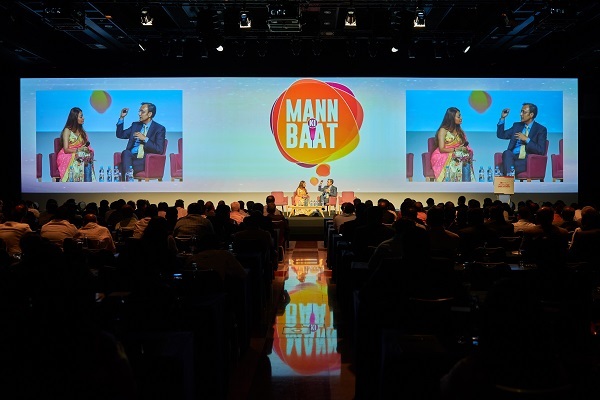 The morning session of the conference saw the discussions and address by the senior management and CXO’s from Havells along with one-on-one sessions with the Dealers. To make the conference more engaging and interesting, ace actor & comedian Sunil Grover was roped in and he took the whole conference experience to another level with his witty engagements and interactions. In addition to the rib tickling entertainment, there was an anthem exclusively composed for the event by Anu Malik. 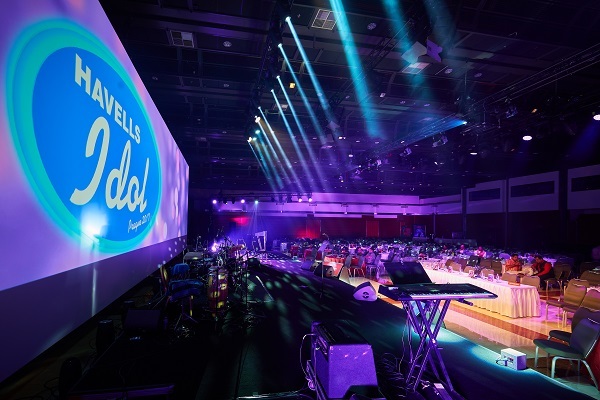 The evening of Day 1 saw Havells Idol being organized for the dealers as they participated and gave their best performances. The competition was judged by Anu Malik and Sugandha Mishra. Their impromptu feedback and funny comments added a great humor to the overall whole show. Post the performances, best singers were awarded in different categories such as People’s Choice Award, 2nd and 1st Runner Up, Judges Choice Award and Best Performer of the Day. The Havells Idol competition concluded with a Rocking Performance by the Judges. Day 2 of the Dealers meet started off with the conference which had multiple knowledge sessions, discussion on Future Vision and Goals, etc. Sunil Grover did some wonderful acts by interacting with the guests and involving them in his conversations to create a light and funny ambiance. Post the conference, an award ceremony took place where all the best performers of the year were awarded based on their targets and achievements. Each winning dealer had an AV made for him under the respective categories such as The Challengers, The Champions, The Rising Stars, The Royals and The Super Kings of Havells.